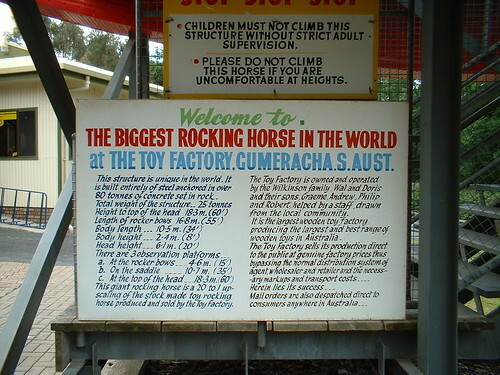 A giant rocking horse in the town of Gumeracha, South Australia is reportedly the World's biggest rocking horse. 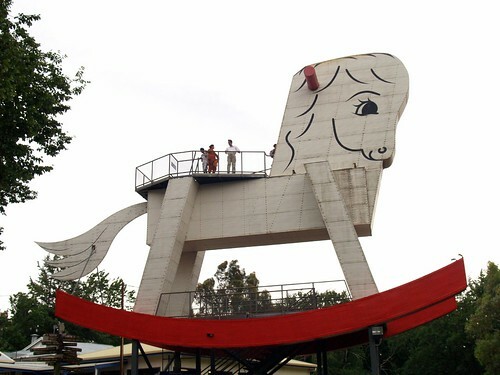 Although made exactly like a giant rocking horse it has been embedded in concrete to prevent its rocking so in a literal sense it doesn't rock! 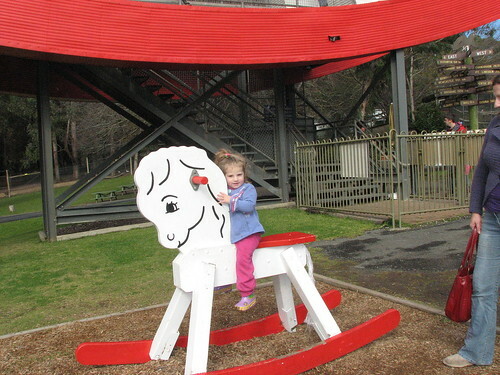 However just adjacent to it there is a much smaller rocking horse so that the kids visiting the area are not disappointed. The structure designed by David McIntosh, weighs 25 tonnes and stands 18.3 metres tall. It is part of a larger complex which includes a wooden toy factory, wildlife park and a cafe. 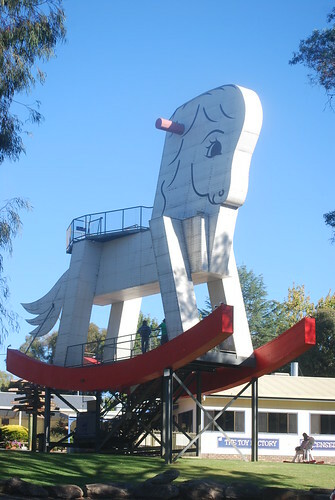 The giant rocking horse is made of steel frame with steel cladding and has stairs incorporated inside which lead to three viewing platforms: one at the head (18.3 metres), one on the saddle (10.7 metres), and a third on the "rocker bows" (4.6 metres). Opened in 1981, it took eight months to construct and cost $100,000. 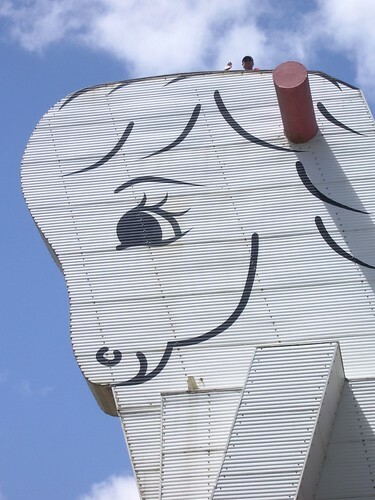 Adjacent to the big one there is a smaller rocking horse for the kids which can be seen on right bottom edge. I appreciate your permission and comments. Being armchair traveller I depend on photographers like you who share their photos on Panoramio/Flickr etc.